Tyre manufacturers and safety organisations will often remind car owners to check their tyres – but Falken had a different approach. The manufacturer visited a primary school and taught 25 school children to check for illegal tread. They then went into the school car park to check their parents’ cars – and eight cars were found to have illegal tread. The experiment just goes to show, first of all, how easy it is to check tyre tread depth and secondly it underlines how common dangerously low tyre tread is. Research by tyre distributor and fitter Micheldever Tyres showed that 56% of tyres removed in the last month had tread at a level below the legal minimum of 1.6mm. Most manufacturers recommend a change at 2.0mm. Falken gave free replacement tyres to the first five parents who had illegally worn tyres. 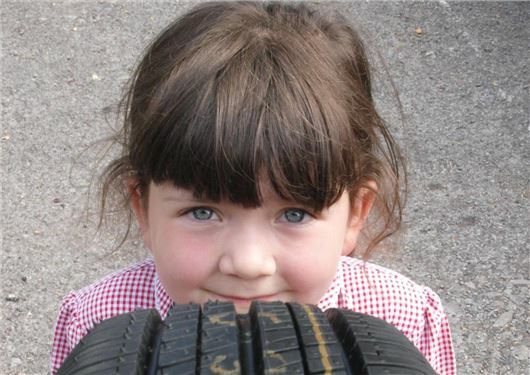 The tyre maker only visited one school in Shropshire, but it aims to visit further schools in future. “Based on our findings here in the Midlands, it would seem that there is much to do to educate the public about checking tread depth,” Said Matt Smith, Director at Falken UK. Great article - so many people fall or the trap of driving with over or under-inflated tyres when it's so easy to check your trye safety! Nice post! Of course, individuals must be very cautious with their vehicles especially if they frequently go to other places with their family. Hence, individuals must look for reliable tyres from reputable companies like www.tyreland.co.nz to ensure their safety on the road.